New York City. 13. April 13, 2010. The world wide popular American-Jewish journalist Amy Goodman has celebrated on April 13 her 53th birthday. Amy Goodman is host of Democracy NOW! and co-founder of the daily news hour which broadcast Monday to Friday on more than 750 radio and TV stations in North America and different countries in the world. Amy Goodman is known since many years an an investigative journalist with hallmarks such as reporting about war and peace and human rights. 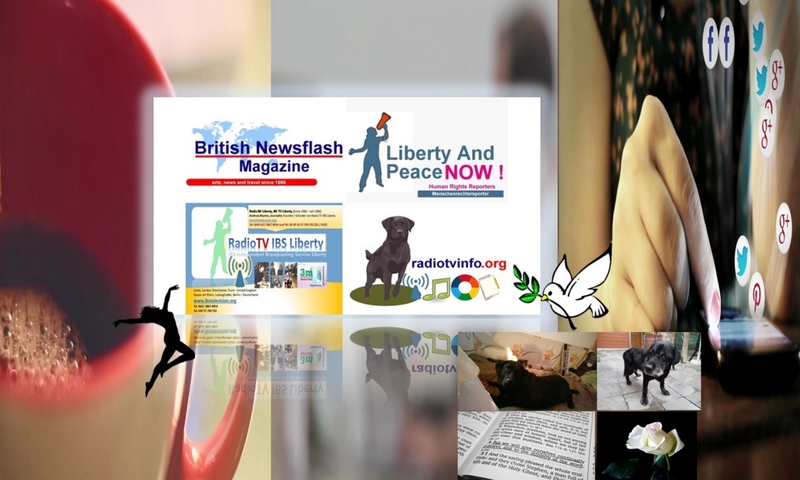 She is also supporting independent and alternative media projects in North of America. In September 2008 while trying to free two other journalists which got arrested by Police, the journalist got arrested in the United States of America while covering the Republican National Convention. After her arrest in about 48 hours more than 60.000 people found around the world have joined in an international campaign and petition to free Amy Goodman which has been held under arrest of American Police Forces. Amy Goodman has been released and the charges brought up against her have been dropped. For her work as journalist, broadcast journalist, host and author in some cases even in deadly danger for her life Amy Goodman has received more than 25 international recogonised awards for journalists such as the John F. Kennedy Memorial Award, Communication for Peace Award. 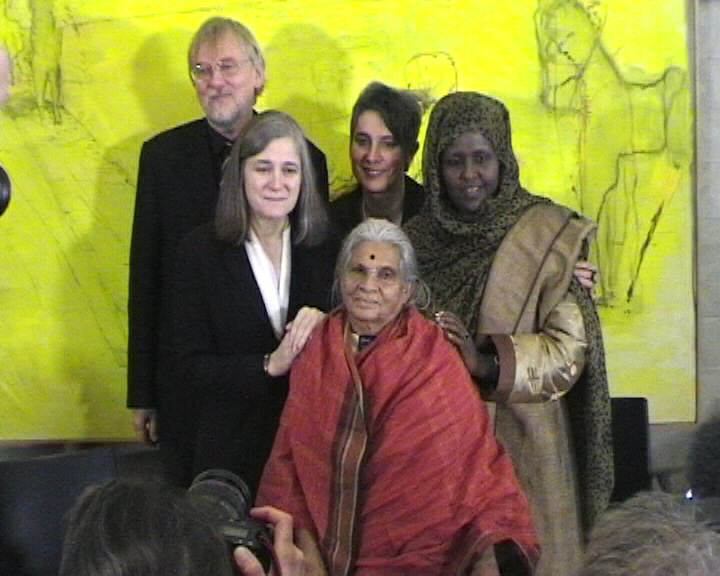 In December 2008 only three months after the arrest took place Amy Goodman has been the first journalist to receive the Right Livelihood Award which is also known as the Alternative Nobel Prize in Stockholm in Sweden. Founder of the Right Livelihood Award Foundation in Stockholm in Sweden is Jakob von Uexkuell a German-Swedish citizen. Amy Goodman is the co-founder of the daily news hours Democracy NOW in 1996, which is also available on the internet on www.democracynow.org . 2008 — Standing up to the Madness: Ordinary Heroes in Extraordinary Times, Co-author: David Goodman, (ISBN 1-4013-2288-3). This book has been for months in the bestseller list of the New York Times. 2009 — Breaking the Sound Barrier, with a preface of journalist Bill Moyers, (ISBN 1-931859-99-X). The graduate of the HAVARD University and journalist has also narrated some American film productions. Relatives of the American-Jewish Journalist Amy Goodman have been killed during the dictatorship of the Nazi regime in Germany in 1933 to 1945. The journalist Juan Gonzalez is co-host of Democracy Now. Amy Goodman has been described as a secular Jew and journalist. The father of Amy Goodman used to be an ophthalamologist. The book has been published in France with its title: Liberty, Peace and Media: Amy Goodman And The Freedom Of The Press – Excellent Journalists In Extraordinary Times, Books on Demand Gmbh; Paris, France; February 2009, 276 pages, written in the English and German language. (ISBN-10: 2-8106-0269-7 , ISBN-13: 978-2-8106-0269-8). In Germany the book has been published with its title Liberty, Peace and Media: Amy Goodman – Excellent Journalists In Extraordinary Times, Books on Demand Gmbh; Norderstedt, Deutschland, February 2009, 264 pages, also in the English and German language. (ISBN-10: 3-8370-7473-0, ISBN-13: 978-383707473) . The books are dedicated to honor the work and life of the American-Jewish Journalist Amy Goodman and to honor the efforts of other journalists to protect the freedom of the press in many different countries in this world. The books about Amy Goodman, her life, work and engagement for the freedom of the press, peace and human rights are also available on online book stores, such as i.e. www.amazon.de, www.amazon.fr , www.libri.de. Those people which want to support the works of Amy Goodman and Democracy NOW ! may as a birthday gift or as a token of appreciation might support the independent and alternative daily news hour and donate with Democracy NOW ! on http://www.democracynow.org/about/staff .